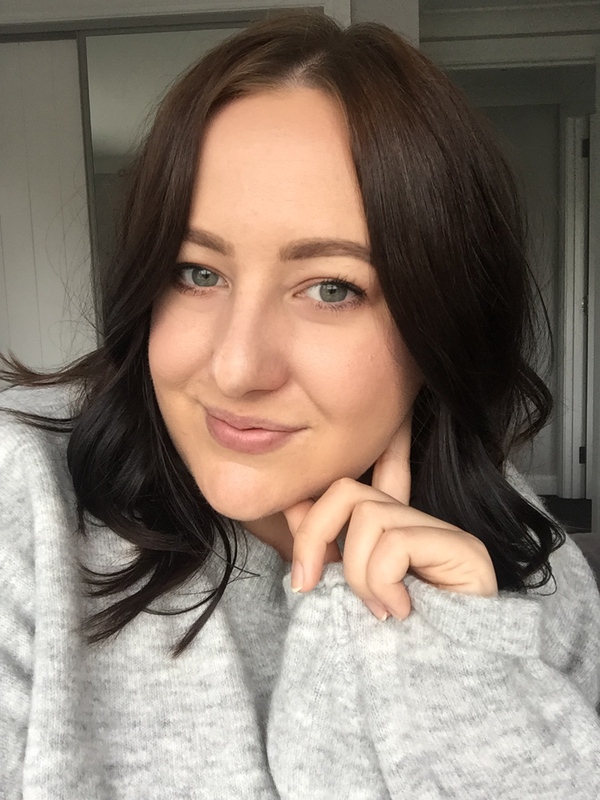 I recently was asked by Beauty Bliss to be included in their list of NZ beauty bloggers and vloggers, and with that came a little parcel filled with some products for me to try out and review. This beautiful Sleek i-Divine Eye Shadow Palette was included and to say I was excited about it is an understatement. I have one other Sleek palette (Snapshots palette, review + swatches here) and was very impressed with the quality, so I knew this was going to be just as good! 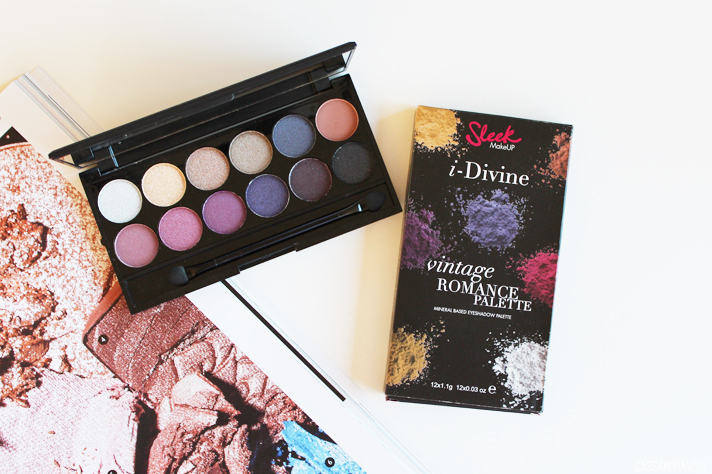 The range of eye shadows palettes that Sleek offer is really amazing; they have beautifully curated selections of lots of different shades, from neons, to neutrals and rich tones like in this Vintage Romance palette. 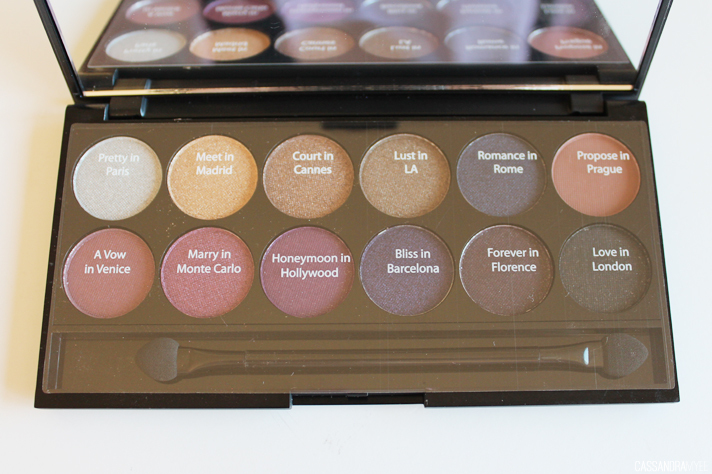 The palette contains 12 shades; including one matte brown with the others all shimmery/satin finishes. The mix of shades just screams Autumn/Winter to me, although I have been rocking this during the Spring and now into Summer as well. You can go quite neutral with the shades in the top row, be more adventurous with the pinks/purples and really deepen up the eye to be very smokey with the darker shades. All the shadows are very pigmented; the shimmery shades are so buttery and have a beautiful metallic finish to them. Blending is easy and they perform just as well as higher end palettes I have. TOP ROW | This contains the 'safer' shades, with a shimmery white for highlighting, amazing bronze and gold tones that are one swipe and go style shades. The matte colour, Propose in Prague is a terracotta brown and great for the crease. BOTTOM ROW | This is where things get interesting; the purple/pink tones are stunners and you can see how this would be amazing for the Autumn months, or even creating a purpley smokey eye. The gold and bronzes work beautifully with these tones also, and the colour selection is spot on. 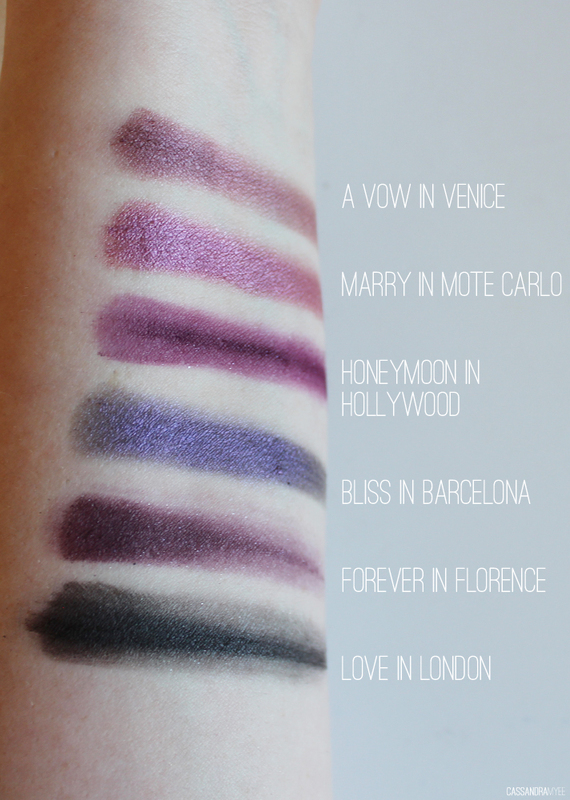 As you can see from the swatches, just how highly pigmented and the gorgeous finishes they have. 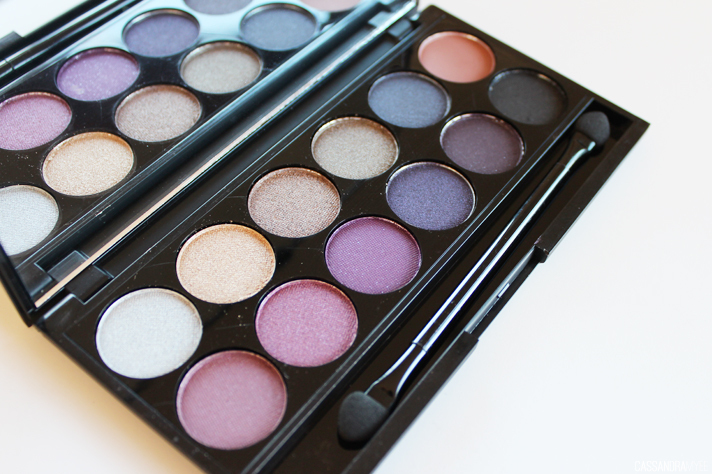 If you are after an affordable, but high quality palette, Sleek is a good way to go. 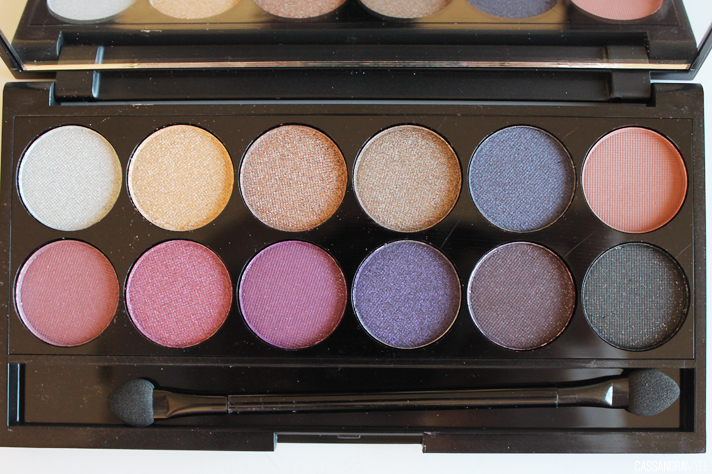 This palette (and others from the range) can be bought for NZD $22.00 from Beauty Bliss. They ship nationwide for $4.50, or free for orders over $50 and they also post over to Australia too. Have you got a Sleek palette? 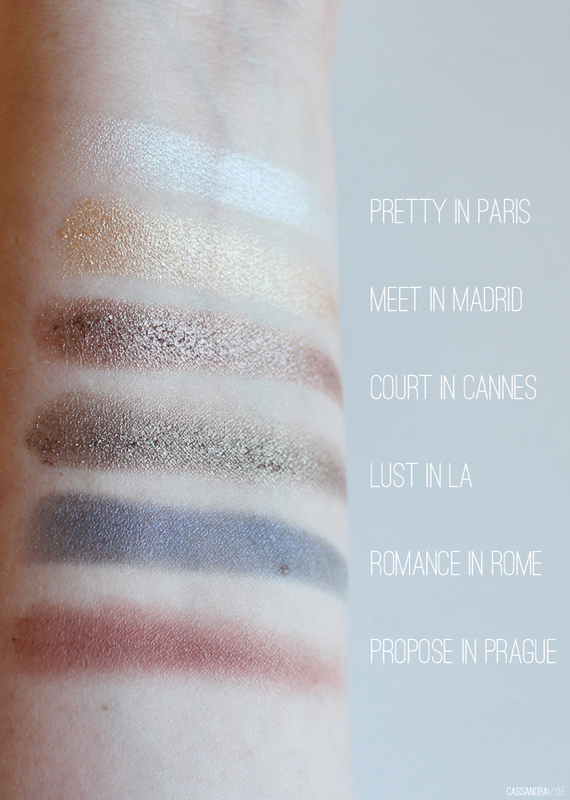 What shade is your favourite from this Vintage Romance palette? *Product gifted to me/Contains affiliate link.